Hi everyone, so today I have such an amazing polish to share with all of you. Being a nail polish lover for as long as I have been, you come to imagine your ‘perfect polish’ and at least I wish I had the creativity and patience to make it. Well, as it turns out the Dee the creator and maker of Rainbow Honey has copy & pasted my perfect polish into the gorgeous shade you are about to see. 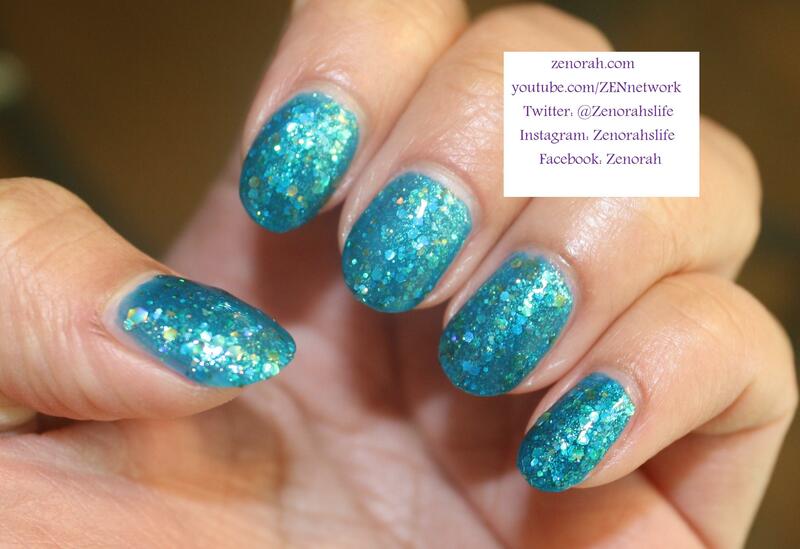 Rainbow Honey ‘The Kraken’ – is a GORGEOUS teal polish infused with a variety of sizes of teal & gold glitter particles. 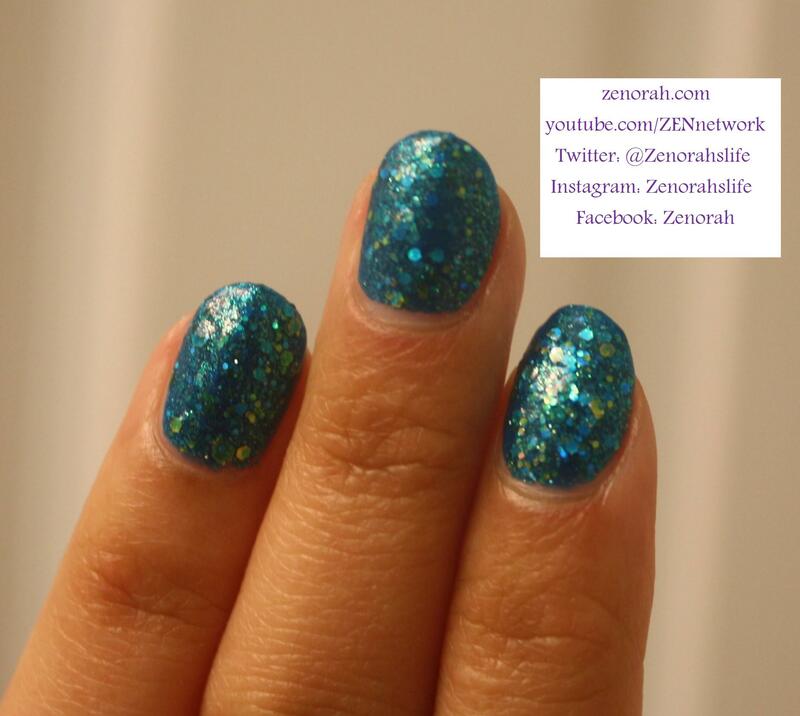 This polish is from Rainbow Honey’s “Summer of 199X Collection”. One of the most unique features of this polish is while the teal base of the polish is opaque you can still see the gold and teal glitter particles through it!! It’s soooooo gorgeous I just can’t tell you how perfect of a polish it is you NEED to see it in person to appreciate it. I wanted to show you what it looked like indoors and in sunlight – it’s absolute perfection. First, you can actually get away with ONE thick coat but I always do two for good measure (not a fan of bald spots). As well the formula was just heavenly, very smooth to apply, dried within 5 mins and the DEPTH of the polish after two coats is just breath taking! This photo captures the most ‘real-life’ swatch I was able to capture, just look at it!! 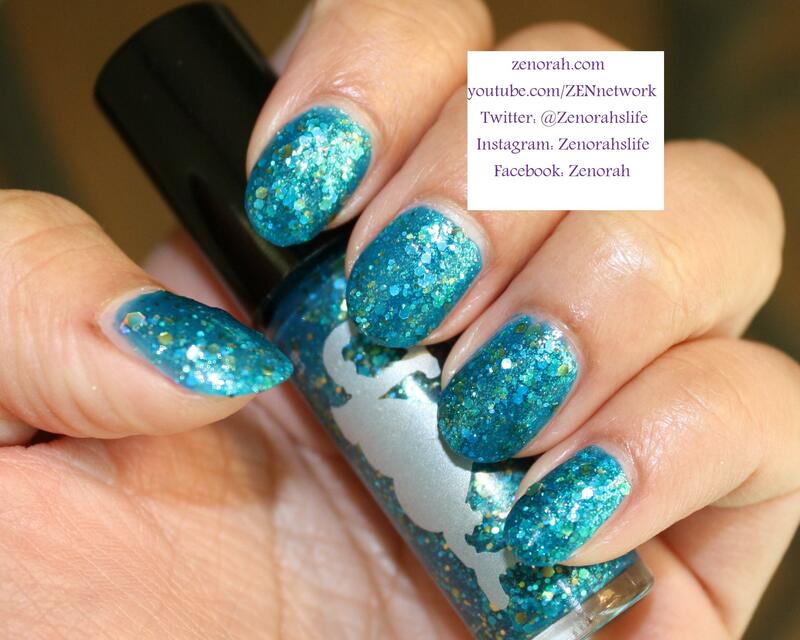 If you are a fan of Zoya’s Charla as I am, you NEED this 100% in your collection ASAP! (this is definitely a polish I think my friend Yukie would LOVE!). 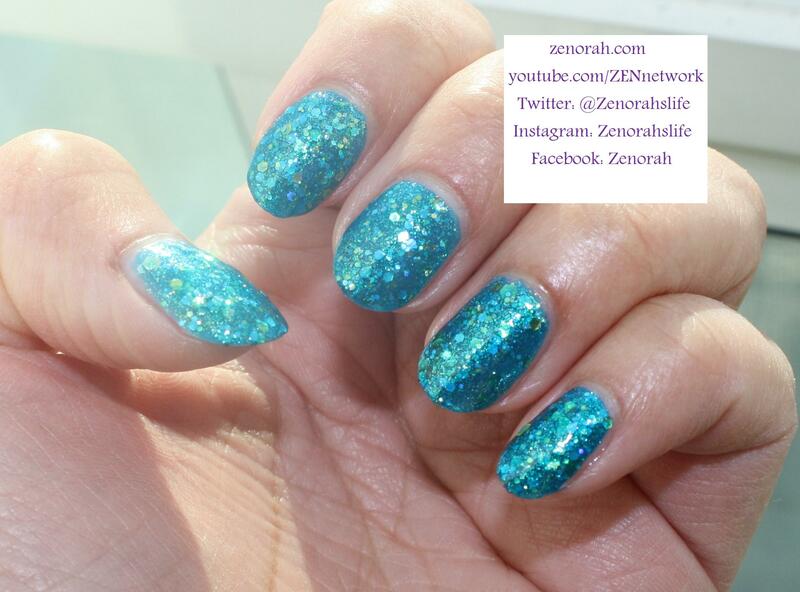 As well, it is the perfect Mermaid polish – I have thrown that term around of other teal polishes but this one takes the cake! If you are nail polish lover (which I know many of you are), you NEED this in your collection – if you have ever taken my advice on buying polishes, please go out and purchase this polish, you will never regret it! I think this may easily be my favourite Rainbow Honey nail polish to date! I have been so impressed by the brand that I am so excited to purchase MORE polishes in the near future! Thank you to Nailpolishcanada.com for sending these polishes! As well you can use the promo code ILOVENAILBLOGS to recieve $5 off your purchase on the RainbowHoney.com website! This promo code expires March 31st, 2014! Do you own Rainbow Honey ‘the Kraken’? Super pretty Indie, looks good on you ! omg that is STUNNING!! i need that in my life! it looks perfect on you.